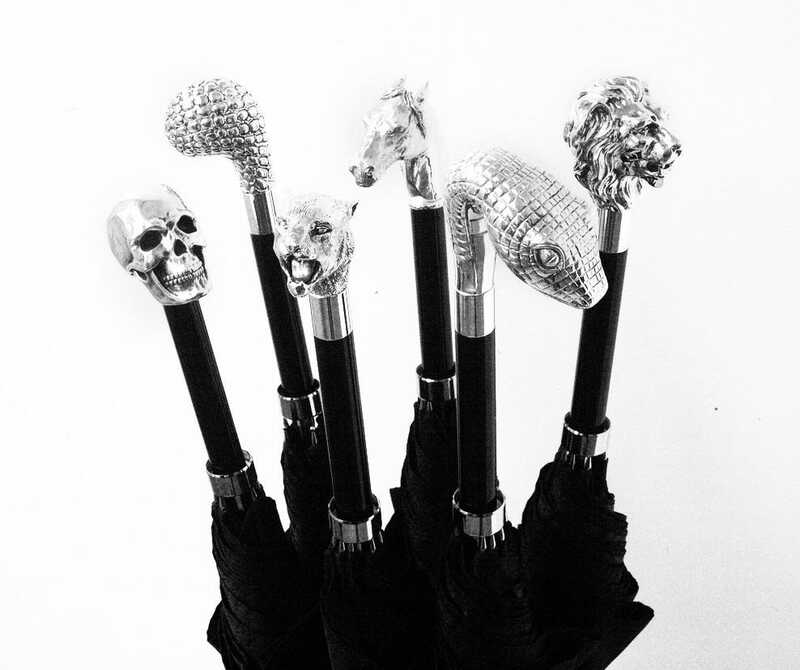 This is the Archer Adams Westminster Gothic Umbrella Collection. Why We Love It: Drug store umbrellas are a dime a dozen, and finding yours in the heap at work or a restaurant is a pain. Not to mention they break almost as soon as you buy one. This collection from Archer Adams, a popular British men’s fashion label, are high-quality jet black umbrellas with a wide variety of designs available. There are 13 variations on the silver-plated handle alone: Horse, owl, serpent, skull, eagle, bull dog, leopard, Labrador, lion, toucan and frog, not to mention the lizard skin and Swarovski crystal versions. 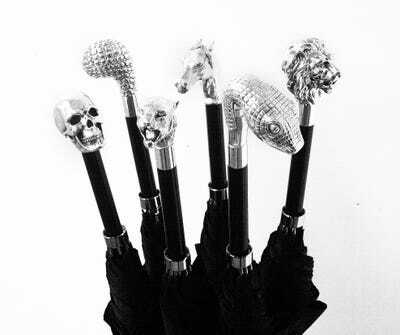 You’ll never guess which umbrella is yours ever again. 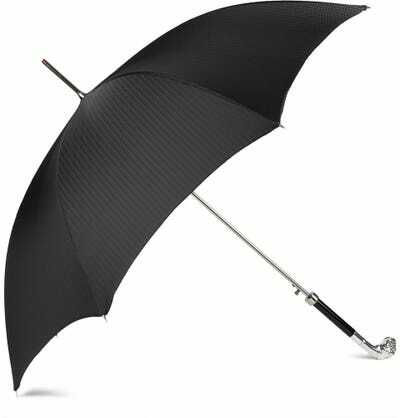 They’re made of nylon with a button mechanism to open the umbrella, a birch pole, and a black on black herringbone-print canopy. Where To Buy: Available through Archer Adams London or MR PORTER.